Combine 1 Cup Coconut Milk, Chia Seeds, Sugar and Vanilla Extract in a bowl. Stir lightly to make sure there are no clumps. Cover and leave in the refrigerator for at least an hour. In a blender, combine frozen Rasberries and 1 Cup Coconut Milk using more to thin as needed. Blend until smooth. 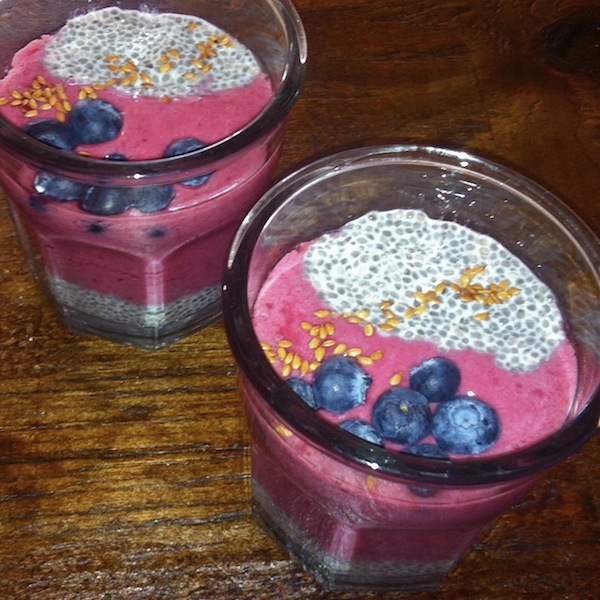 Layer the Chia Seed Pudding with the Raspberry smoothie and top with Blueberries and a sprinkle of Flax.